We had the great privilege to go to London last summer. We saw many wonderful places and had an amazing summer. We had the chance to see The Harry Potter Studio Tour ( we loved it) and The Princess Diana Memorial Playground which was the most amazing playground I have ever seen We found the The Doctor’s Tardis and even visited Platform 9 3/4 at Kings Cross Station! (Yes, we really did, you can read about it in my blog What Geek Families Must See in London!) Even with all of this, Caple Manors Gardens and College in Enfield was one of our favorites! I wasn’t sure the kids were going to enjoy it, but my daughter and her cousins seemed to have a great time. Oh and if you are a photographer you will think that you have died and gone onto heaven! It didn’t hurt that we were there on a rare sunny London day either. We were there for the Heavy Horse Show and the kids got to go on a carriage ride, and see many, many horses as well as see the amazing gardens! The Gardens offer many Events throughout the year. There are many different landscapes throughout the gardens and there is one to meet everyone’s tastes. If you like modern stylized gardens or wildflower filled fairy lands you will be amazed. There was even a garden designed for people with allergies! My daughter had two favorites parts. Part one (and yes I liked it too) was the ruins. They are not actually ruins, but they replicated to be the most beautiful setting for a wedding, photo shoot or just to sit and read a book. We spent a good amount of time hanging around on the benches and letting the kids run around the ruins. Lastly, if your like me, you will expect to go into a hedge maze on a trip to England. Caple Manors will not let you down on this expectation. The kids had a great time, as did we! One (hopefully) unnecessary word of warning though, Do not enter the Hedge Maze if you have any inkling that you may be needing the restroom anytime soon. I almost forgot the animals. There are a few goats and couple of pigs for the kids to see as well. We had a beautiful day with the family and took some candid shots of our family that we will certainly cherish for a long time to come. 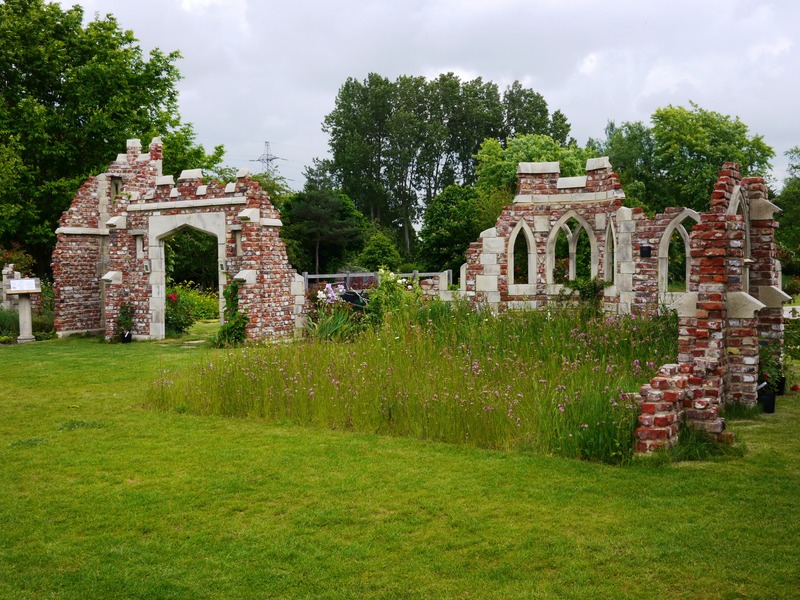 This entry was posted in Events and Reviews, London, Summer Picks and tagged caple manors college, gardens, hedge maze, photography, ruins by Cynthia Buckley. Bookmark the permalink.